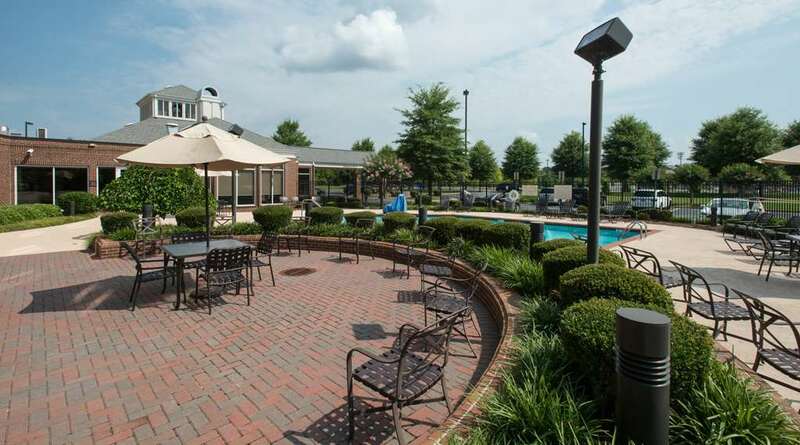 Garden Grille Breakfast: The Garden Grille located here at our Hilton Garden Inn Macon hotel features a breakfast buffet with fresh bakery breads seasonal fruits cereal pancakes waffles eggs and cooked-to-order items. Open 6am-10am weekdays and 7am-11am on weekends. Garden Grille Dinner: In the evening the Garden Grille features uniquely prepared American cuisine available in the dining room or through room service. Open every day from 5pm to 10pm. Pavilion Pantry: The Pavilion Pantry 24-hour convenience mart located here in our Macon GA hotel offers an assortment of refrigerated frozen and microwaveable packaged items. Guests can prepare these items in the comfort of their own rooms using the in-room microwave and refrigerator.